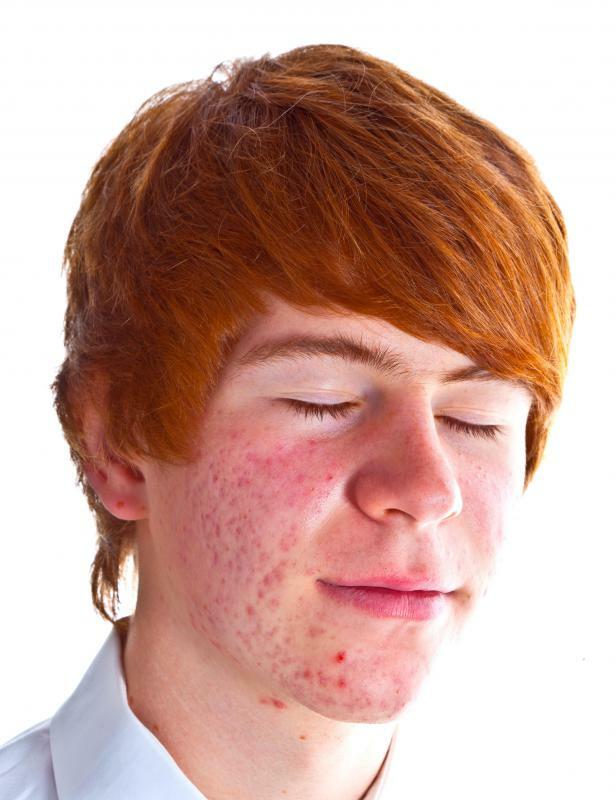 A boy with acne nodules. 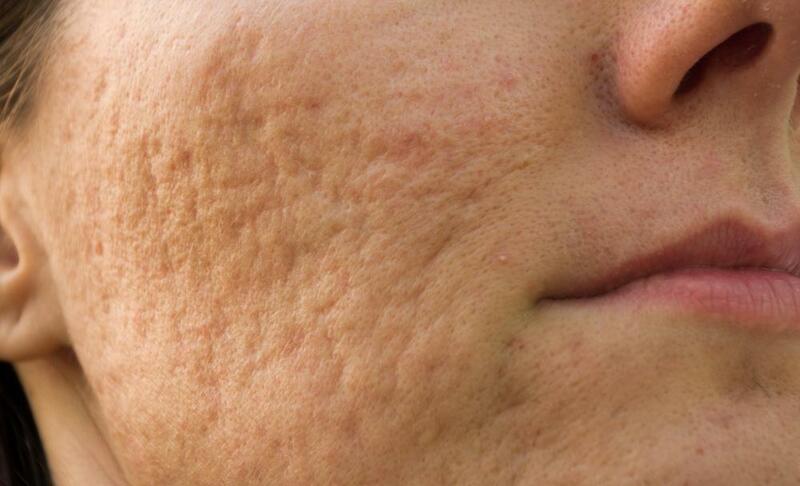 Acne can leave behind scars and marks. Preventing acne nodules typically involves a regular skin cleansing routine with products designed to kill the bacteria that causes acne vulgaris without causing excessive dryness or irritation of the skin. This regimen is generally recommended as a twice twice daily routine, typically performed in the morning and evening. This type of acne is more severe and can lead to scarring, so most prevention measures should include skin treatment products that a dermatologist prescribes or recommends. Face washes and topical medicines containing either benzoyl peroxide or salicylic acid have been proven effective at acne prevention. Since everyone's skin is somewhat different, one of these medicines may work better than the other for different people. Benzoyl peroxide is a common ingredient in products intended to help prevent nodular acne. Depending on how prone you are to acne nodules, this ingredient in over-the-counter cleansers can often work as well as prescription treatments that contain higher concentrations of it. Some people have allergies to benzoyl peroxide, so you should first test it on a small patch of skin to make sure you do not have this type of reaction. Benzoyl peroxide can sometimes cause temporary skin peeling and sensitivity. When washing your face with this type of cleanser, be careful not to scrub hard or rub your face with a towel or wash cloth. Another option for acne nodule prevention is to use a cleanser and cream with salicylic acid. This ingredient can also treat existing blemishes and keep new acne nodules from forming. It can have side effects similar to those of benzoyl peroxide, so it may be helpful to start using the products in small amounts and gradually increase them as your skin adjusts. Washing your face with medicated cleansers is an important step to remove the excess skin oil that creates the environment where acne-causing bacteria can multiply. Gently blot your face after rinsing and allow it to completely air dry before applying the medicated cream to areas of existing acne nodules. To order to prevent further acne nodules and possible acne scars, it is important not to further irritate the skin. Although astringents and scrubs are popular treatments, they can sometimes cause skin to dry out and over-produce oil to compensate. This cycle can actually make the initial acne problem worse. Thicker medicated creams can be used on smaller areas of the face while medicated gels can be used on larger areas. The key to prevention is to rub them into the skin gently and allow them plenty of time to absorb. What are the Different Types of Vitamins for Acne? I'm on a very popular cystic acne medication to prevent acne nodules. It's made of a type of vitamin A. It works well, but I've heard that it can have some bad side effects. I haven't had any side effects yet and it's controlling my acne very well, so I hope that I can keep taking it for a while. I've also been getting good results with a benzoyl peroxide face wash. It makes my skin a bit dry but it's very good at preventing nodules. @turkay1-- Yes, I've been on oral antibiotics on and off for several years for my severe nodular acne. The antibiotics definitely help. They shrink the nodules and help prevent outbreaks. But as soon as I stop taking them, the acne returns. And it's not good to take antibiotics continuously, the more they're used, the less effective they become. They also have side effects. Has anyone tried oral antibiotics or antibiotic creams in the prevention of acne nodules? Does it work?